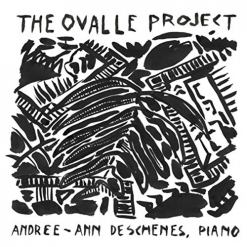 The Ovalle Project is a two-disc collection of the complete solo piano works of Brazilian composer Jayme Ovalle (1894-1955) performed by Andree-Ann Deschenes. The first disc contains fourteen pieces that range in duration from 42 seconds to more than 13 minutes. Disc 2 contains twenty-one pieces that range from 31 seconds to just under 12 minutes. Deschenes refers to the shorter works as “character pieces” and the three “Legendas” as Ovalle’s bigger, showier compositions. In all, Ovalle composed 24 opuses for piano plus songs and a few miscellaneous instrumental works. Most of his music was composed during the second half of the 1920’s, but it was not written down or published until the mid-1930’s. I really like Deschenes’ vivid description of Ovalle’s music: “Ovalle’s harmonies are rich, dense, and incredibly evocative. The chromaticism that permeates much of his music creates an uneasy motion often resolving on the very last chord with much satisfaction. The emotionally charged, yet delicate melodies, offer the perfect complement to the often muddy lower parts.” A self-taught composer, Ovalle was also a poet. His best-known piece is “Azulao” (“Bluebird”), a vocal work with lyrics by Manuel Bandeira. With 35 tracks, there are far too many to review individually. The variety in the moods, intensity and tonal colors is vast, and Ms Deschenes has taken the time and attention as well as research to get inside the of music in order to gain a thorough understanding of the intentions of the composer and to absorb and apply them to her interpretations. Even with her very impressive virtuosity, Deschenes calls the longer pieces “difficult and virtuosic” with many octave runs, unusual harmonies and unpredictable chord changes. 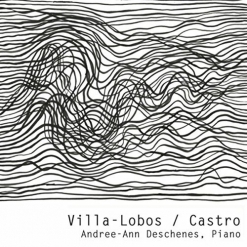 With this release, Andree-Ann Deschenes has become a very effective means to revive this fascinating composer’s work. As she mentioned above, much of Ovalle’s music is very dense and often discordant - not new age or easy-listening for sure - but if you are looking for some 20th century classical music to really sink your musical teeth into, The Ovalle Project is an excellent choice. The Ovalle Project is available from Amazon, iTunes and CD Baby. Brava, Andree-Ann Deschenes!